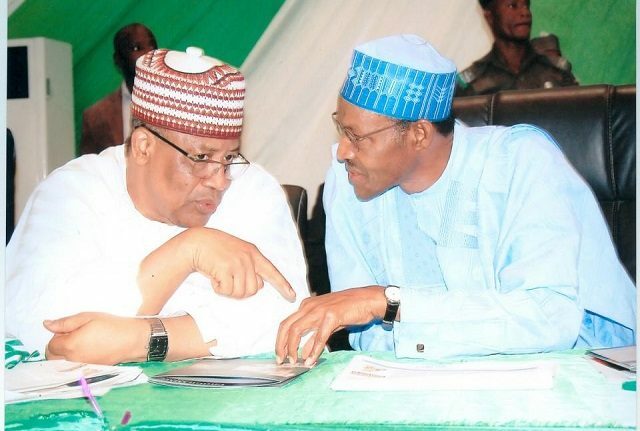 Former Military President, Ibrahim Badamasi Babangida, has denied a statement in which he asked President Muhammadu Buhari not to contest the 2019 election. Responding to the widely circulated statement issued by his spokesman, Mr Kasim Afegbua, Babangida said the statement did not tally with his views on national issues. ‘My attention has been drawn to a report making rounds especially online in which I was quoted as advising Nigerians not to vote for President Muhammadu Buhari in the coming 2019 election. ‘Not only is the said statement untrue, it is in its entirety, an inaccurate representation of my view of the state of our dear Nation’, he said. He was quoted as asking President Buhari to step down for digital leadership in 2019. With this denial, Babangida has tried to distance himself from the stance of another former President, Chief Olusegun Obasanjo, who late last month wrote an 18-page letter, accusing the President of poor handling of the economy and clannishness. Babangida also said as a former head of state he had access to make his views known to the President without resorting to open letter. Buhari is the best President Nigeria has since 25 years ago. Obasanjo is our father in Yoruba land, but he was not better than Bihari while he was in office.